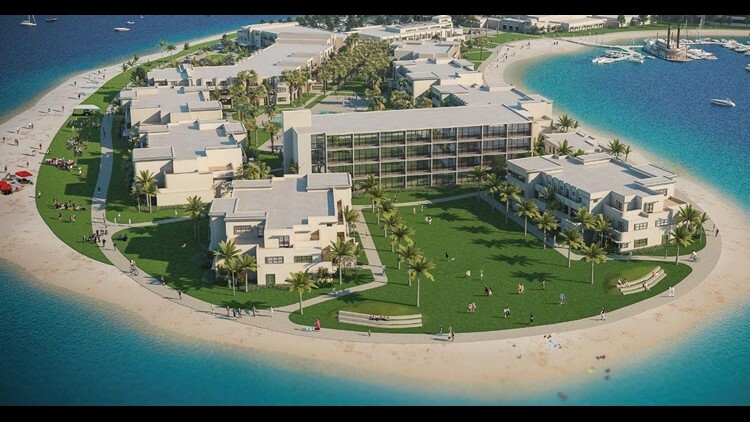 Developers are trying to expand the Bahia Hotel, but locals aren't letting the land go without a fight. SAN DIEGO (NEWS 8) — Developers are trying to expand the Bahia Hotel, but locals aren't letting the land go without a fight. Dozens rallied in Mission Beach on Sunday to protect the parking and access to the bay. Some demonstrators say the ongoing fight over construction on Bahia Point in Mission Bay is personal. "Our family has been coming here since the late '50s and we come almost every Sunday during the summer," said Nick Ingrande. Ingrande is part of a large group of people who were rallying to stop proposed renovation plans by the Bahia Resort Hotel. "If they take this land they'll be no access for us," said Jery Giacalona who is also against the expansion. "There's nowhere else to go to have access like this," said Ingrande. "They say go to Fiesta Island, but that place is a dump. This place here - it's clean, they have grass." According to a master plan submitted to the City of San Diego, the resort plans to double the size of its hotel to accommodate 600 guests. For those against the expansion, the main issue is the elimination of the main parking lot, which now gives visitors direct access to the water. "The single parking lot should be a high-rise structure, but they're not willing to make the investment," said Giacalona. "They are just grabbing land, which is totally, totally not right." Demonstrators believe the renovations will essentially turn Bahia Point into a private beach for hotel guests. "It's not about the people who are vacationing in San Diego, we have to worry about our community," said Giacalona. "We're being forced out." We are excited about the prospect of increasing public access and public amenities as part of our renovation and expansion of the Bahia Resort Hotel. In particular, we will be creating a bike and pedestrian pathway around the entirety of Bahia Point, adding lawn and picnic areas as well as bocce ball courts. Although we strongly believe that the project will continue to allow access to a wide variety of recreational users, we are sensitive to and mindful of the concerns of some groups. The best way forward is for all interests to continue constructive dialogue and Evans Hotels is committed to that. The hotel also said the project will create around 350 new jobs and generate new revenue for the city. In order for plan to move forward the proposal would have to be approved by the San Diego City Council and then the California Coastal Commission. See below for more information on the renovation provided by the resort and Evans Hotels.